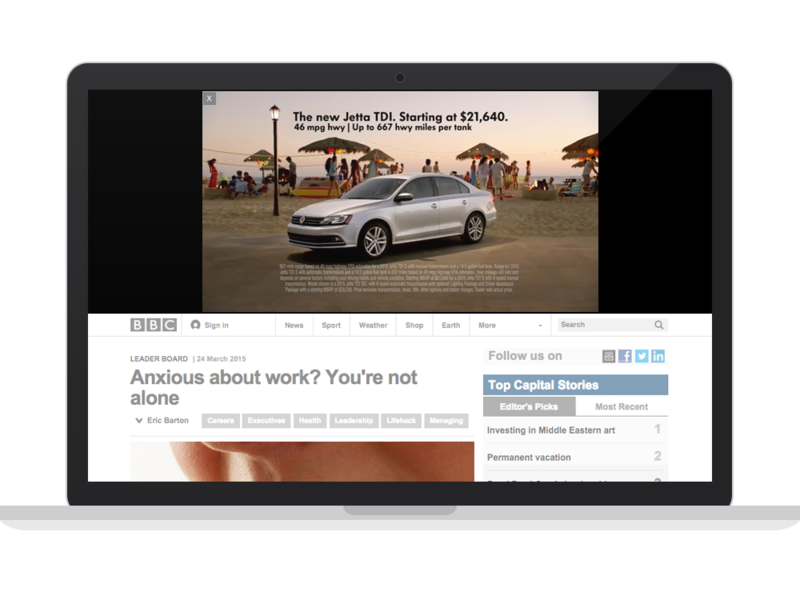 RevenueVids is a better way for premium publishers to connect with top video advertisers. Our advanced, in-house systems generate optimal revenue in real-time using smart technology and compelling content. Plays in a 300x250 ad dimention, followed by a static version of the video. Immersive, full-screen experience. Auto-hides once the video has been seen in full. Placed at the very top of the page, videos demands the visitors' undevided attention. 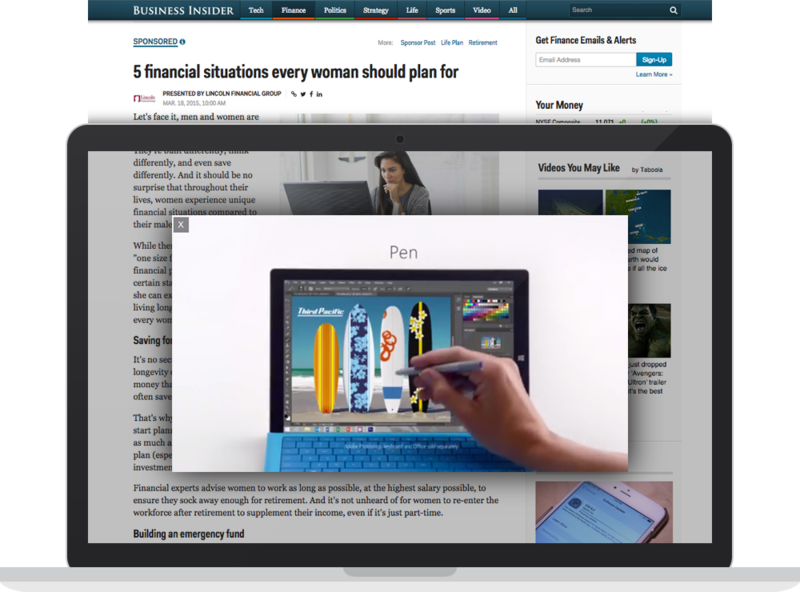 Videos come to life as visitors scroll, when in view, at the heart of editorial content. VidBanners plays in a standard 300x250 banner ad dimention, followed by a static version of the video when the video finishes playing. 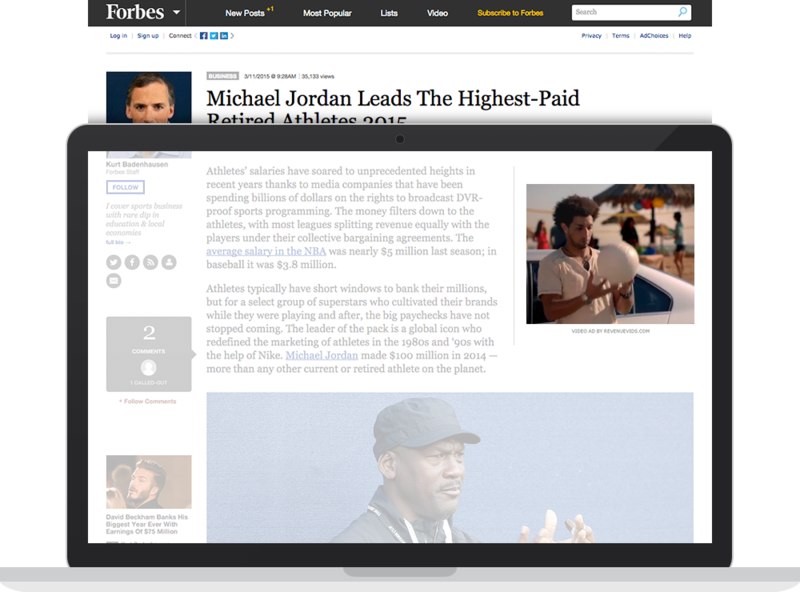 VidBox grabs your visitors attention by using an immersive, full-screen experience. Once the video has been seen in full, the player disappears. VidHead sits at the very top of your site's pages. Once the video has been seen in full, the player disappears. State of the art video formats combined with a holistic approach to ad-serving result in the highest CPMs. Our solutions maximize revenue using untapped resources. Compelling video content resonates with your viewers on an emotional level and enhances their overall experiene. Our team creates a personalized experience with your needs in mind. We tailor and automate your video advertising campaign to produce optimal results. Track your results with our easy to navigate user dashboard, your dedicated account representative is available should you have any questions. Implementation is fast and simple, our team provides impeccable support allowing you to see immediate results. Tap into new revenue streams risk free! There is no fee to join and we do not require exclusivity to enter a partnership. RevenueVids is owned and operated by MyAdWise Ltd - a privately-held start-up company founded in 2008 by a team of experienced tech professionals, finance experts and successful online marketers. Strong team. At your service. Our talented, dynamic team uses advanced insights and innovative formats to turn your content into cash. 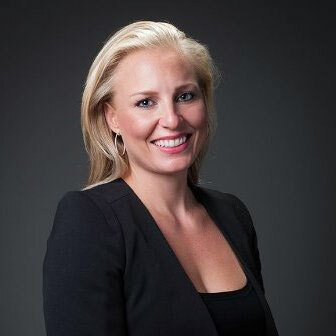 We understand the evolving nature of the digital world and create powerful solutions for publishers and advertisers. If you own a website, you should join RevenueVids today. To get started, please contact Allegra Armstrong via email or skype. © RevenueVids (MyAdWise Ltd.). All rights reserved.